The Power Team by Suriano has signed an agreement with Alex Baldolini for the Italian rider to take part in the Supersport World Championship season on a second Triumph Daytona 675. Baldolini, who will team up with Vittorio Iannuzzo, raced in Moto2 until last season, scoring a best finish of second place. 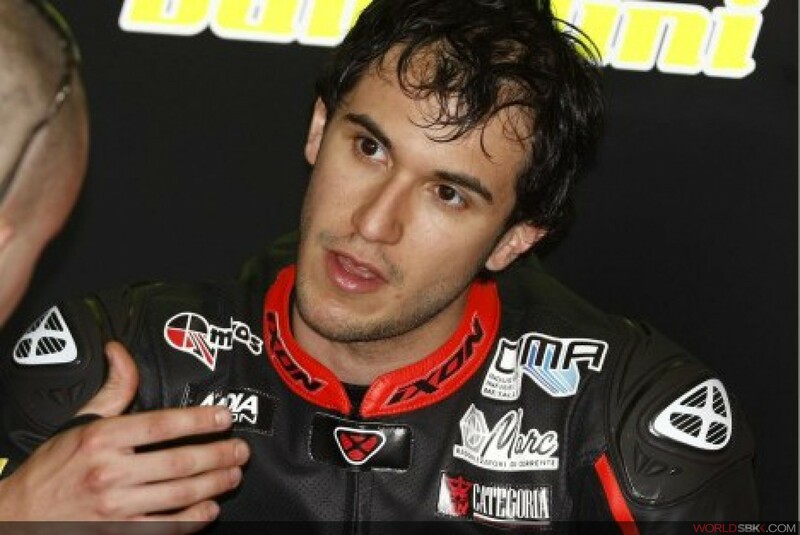 Despite being only 26 years of age, Baldolini already has a long international career to his name, competing in 125 and 250 from 2002 to 2009, before switching to Moto2. Now the Italian has decided to accept the challenge offered by Power Team by Suriano. Technical director Antonio Suriano declared: "I am pleased to be able to count on the services of such a talented and experienced rider as Alex, who in my opinion still has a wide margin for inmprovement. I'm sure that once he gets used to the category, he will be one of the top contenders. For our part we will try and maximise our resources to ensure that he can fight for the top positions as soon as possible in a championship that looks to be particularly competitive and tough, given the high number of top riders on the grid". Alex Baldolini added: "My aim is to give a turning-point to my career. I know I can score some good results and I'm counting on doing that this year on a Supersport machine. For sure as soon as possible I'll have to get used to the category, where unlike Moto2 electronics are used and the engines are more powerful, but at the same time the chassis and frame are production bike. I'm convinced the season will be one of improvement and I want to score some good results. For this reason I'd like to thank the team for their faith in me".